I had such a wonderful, productive weekend when I attended the Association of Premier Nanny Agencies (APNA) annual conference this past weekend! 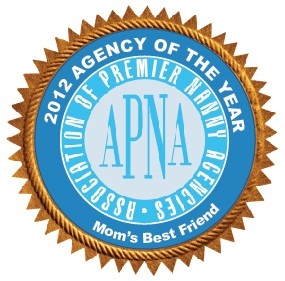 It is my second year on the APNA board, and I so enjoy the camaraderie and collaboration in this industry. At the conferences, I always learn so much from my colleagues, and we always find great ideas to improve the experience of our client families and our caregivers. The cherry on top this year was being named Agency of the Year by my peers. What a privilege! I truly want to thank all of our families, caregivers and staff for making this such a wonderful agency to own. When I started Mom’s Best Friend out of my home over 18 years ago, I dreamed about the agency it would become, and it has FAR exceeded my expectations! This year has been so special because we have been able to use the business to make a positive impact not only through the nanny/family placements, but also abroad through our partnership with Africa New Life. I wanted to share the Mom’s Best Friend video entitled “Caring for Children Near and Far” that was presented at the conference.